Sedation dentistry is the name given to the administration of sedative drugs before and during a dental procedure. It is done with the aim of helping the patient to feel calm and relaxed during their appointment, so that they can tolerate whatever needs to be done, be this just an assessment or invasive treatment. This is provided in the form of nitrous oxide gas, delivered via a mask placed over your nose. The effects, which are likened to feeling tipsy or drunk, are instant and last only moments, so you need to breathe the gas continually throughout the appointment. The drugs to administer moderate sedation are usually tablets take orally a short while before your procedure. The effects of this sedation are stronger, and you will feel extremely calm and relaxed while only having a little awareness of what is going on around you. Administered intravenously, these drugs place on you the edge of consciousness and you will have no awareness of what is happening during your procedure. How much sedation will I need? Most dentists offer varying depths of sedation, and which is recommended for you will primarily depend on the type of dental appointment which is required, and the extent of your fear. Your dentist will always advocate the lowest level of sedation possible for the type of appointment you need. 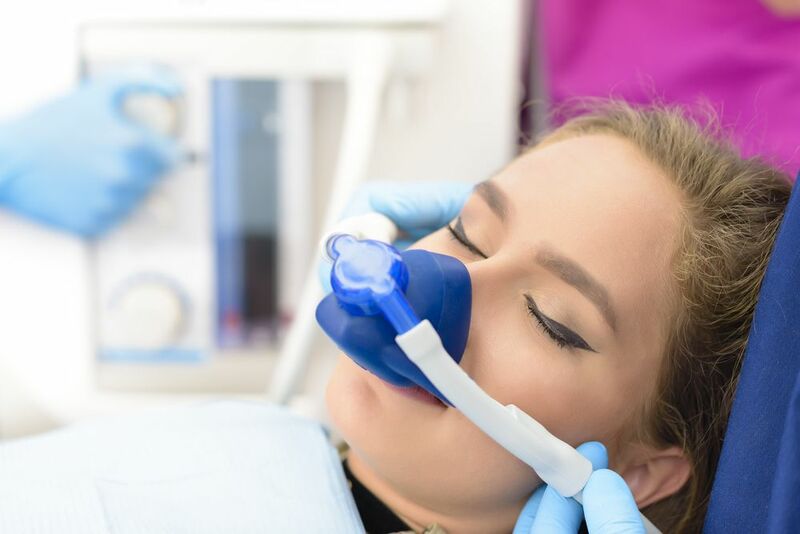 For example, deep sedation for a check-up would be considered excessive and your dentist would probably recommend you opt for nitrous oxide sedation as an alternative. Are there any risks associated with sedation dentistry? As with all types of drug administration, there is a low level of risk associated with the use of sedation dentistry. For this reason, your dentist will insist that you attend a consultation appointment to check your suitability for the procedure. Any risks will be explained to you at this appointment. However, most dentists agree that the benefits of sedation dentistry far outweigh the risks associated with the use of sedative drugs. This can make it possible for even the most challenging patient to receive the dental care that they need to remain healthy and enjoy a bright, attractive smile for years to come. If you would like to know more about sedation dentistry, please do not hesitate to speak to our reassuring dental team.